Hair extensions have become a familiar every accessory for some, being as common as false lashes or acrylic nails. You can buy them in ready made sets or even find bulk hair wefts that can be sewn in to your needs. 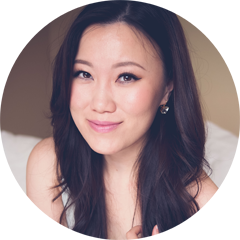 Human hair extensions are often preferred for their natural look and feel but even better, there's lots that you can do with them including heat styling and colour. 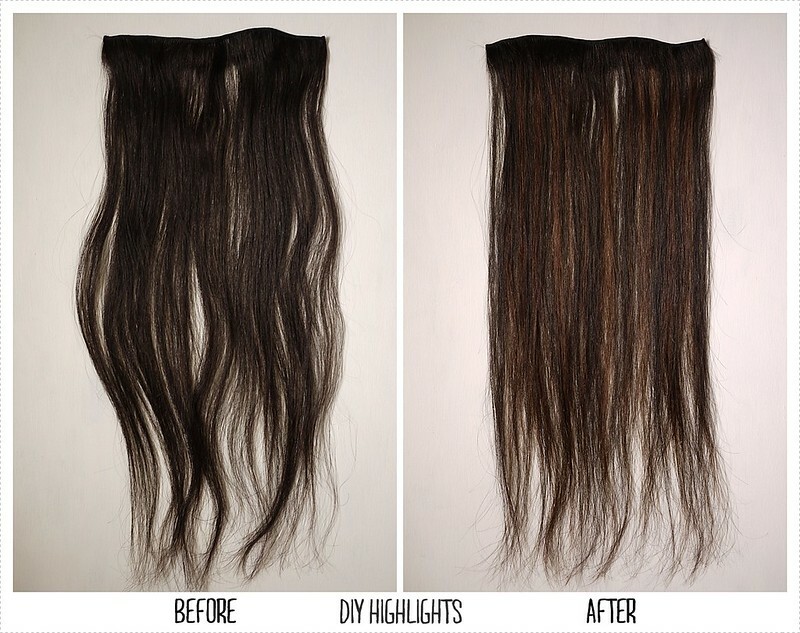 Today I want to show you just that, how to highlight your hair extensions at home. Before we start snapping on the gloves, there's a few points I'd like to make clear about colouring your extensions. You can only do this with 100% human hair, synthetic hair will not take colour because they are not porous or worse yet they will just snap and break. 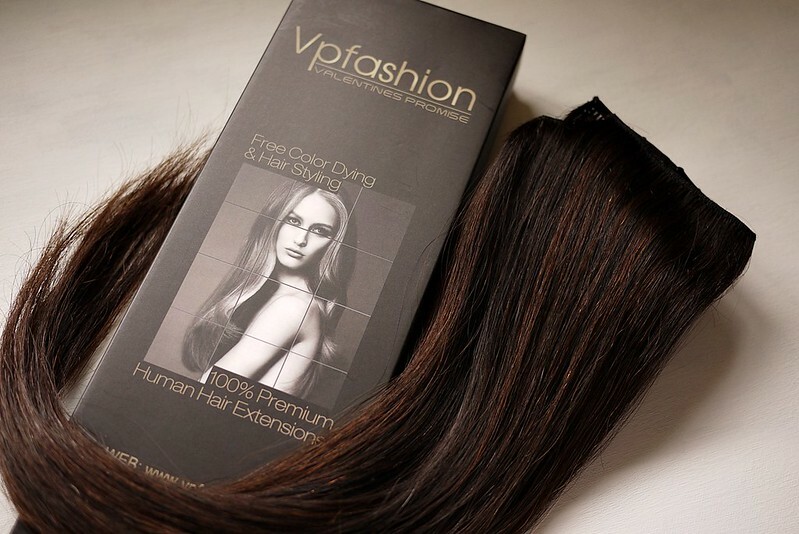 Also, most hair extensions (especially if they are in a dark shade) are already colour treated to achieve a rainbow of hair matches however this means that, like any pre-treated hair, it takes longer for the colour to penetrate the hair and in addition tends to reduce the health of the hair fiber overall. Take note and colour at your own discretion. Here's how the hair turned out after a good rinse, shampoo and conditioning (I used my Joico K-Pak for some post trauma TLC). Depending on how thick your highlights are and how bright they are, the results can be a more natural or dramatic. As you can see here, my highlighted wefts look a bit more multi-dimensional and brought the overall tone up a few shades while still retaining some depth. This is a great option if you already have highlighted hair, if you want to add more interest to your natural base colour or if you are rocking an ombre look and feel that a solid coloured extensions drown you out. As mentioned above, I choose to use my trusty L'Oreal Superior Preference high lift hair colour. Having coloured my own hair for many years, this is my favourite product for lightening my naturally dark hair or even lifting some colour off of previous coloured dark hair at home (shhhhhh... don't tell my hair stylist I do this. I'm naughty I know.). It's a bit gentler than bleach (which I've also frequently used in the past) and I'd say more ideal for hair extensions. Putting bleach onto healthy hair on your head is daunting enough but using it over already treated extensions would not be my first choice. Once you get comfortable with the method to apply colour, there are so many variations that you can do be it highlights, lowlights, dip dye or even a pastel rainbow (hellooo manic panic!). Best yet, they are commitment free so you can be your serious self at work and let out your fun side on the weekends. 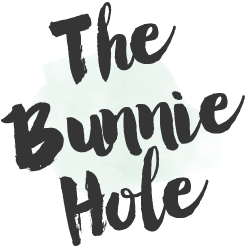 This blog post contains press samples sent for testing and review consideration, for more details on how this works please read my *blog policy guideline. 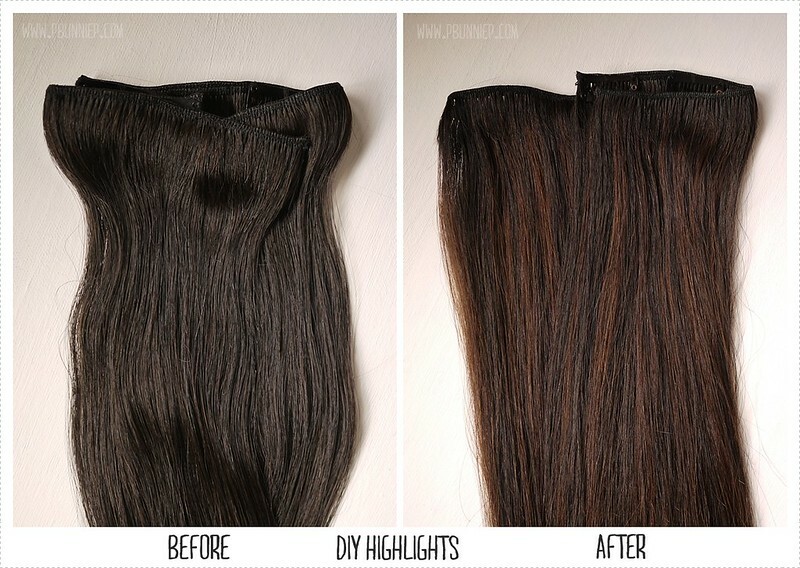 This is really very easy to highlight hair extension at home.Thanks for this valuable information. After highlighting color,These hair extensions are looking very gorgeous.keep sharing this type of information.